A lot of white women these days are open to the idea of dating a black man which is a big contrast to 20 years ago where interracial relationships were not socially acceptable. 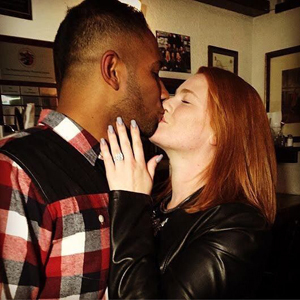 When people saw an interracial couple in the street, they were often greeted with the disapproving look but things have changed now and society is more minded, however, in certain circumstances, most white women find themselves falling head over heels in love with a black man who is married. When this happens what should they do? Here are a few important tips for white women who are in love with a married black man. It is very important for every woman out there black or white to think the exact same way a man would think if they want to be happy in their love life. There are not many men out who are ruining their lives because of the woman in their life because there is this idea that most men do not put their love life first especially if they are looking to succeed in life. This is part of the reason why most men look happier than women because love is blind and millions of women everywhere are willing to change locations, leave family and friends behind, drop out of school or even put future plans on hold for the sake of a man. This is the wrong way to go by things even if the guy is not married to anyone, however, if he happens to be married, this can be a kick in the teeth. It is a massive blow because as a woman in love, you are giving up a piece of yourself for a person who is always taken. Over time it will make you resentful which is never a good thing. Look at the man for what he is and if he is telling little white lies just to keep around, it is time to re-evaluate the interracial relationship you have. If you can somehow better your lifestyle in the process like have the man pay for your bills, buy you a car or a home, fund your trips and buy you expensive gifts, when things go south and not working anymore, you will at least have something to show for the time spent together. It can be seen as cruel in the eyes of other people but if he is playing you along while he is married, that is a good way to get back at him. You have to be really honest with yourself when dealing with a married man because if he is still married to his wife, he has no plans to leave her. Many men have the tendency of dating a woman until she starts to expect more from him then he leaves her for another. The cold hard truth is most guys will take a woman for a ride for as long as they allow him to hence why you have to be true to yourself so that you are not seen as doormat.